A temporary extension to Preston’s Park and Ride scheme is being considered, while councillors search for a permanent solution. Plans for a two-month extension to the contract for the Walton le Dale Park and Ride Service will be discussed by Lancashire County Council’s cabinet next week. The council agreed in July 2017 to provide a subsidised service for the site for six months after the operator, Rotala Preston Bus, advised that they could no longer run it on a commercial basis. Since then officers have been working on solutions to keep the service running by encouraging more people to use it, and reducing the costs of maintaining the site. If a proposal to be considered by the council’s cabinet on Thursday, December 7 is agreed, the current contract will be extended for two months until March 29 2018 at an estimated net cost of £7,100. 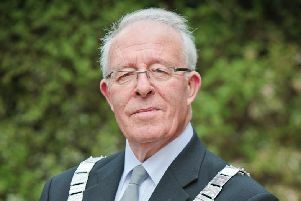 County Councillor Keith Iddon, cabinet member for highways and transport (pictured) said: “The Park and Ride site behind the Capitol Centre at Walton-Le-Dale is close to the M6 and M65, giving people the opportunity to avoid the stress of parking in the city centre and complete their journey by bus. It offers a good quality service with buses running every 10 minutes during peak times, and every 15 minutes at other times. Parking at the Walton-Le-Dale site is free, with an adult return fare costing just £1.50, and a child return fare 75p. The service will be operating extended hours in the run up to Christmas for later opening hours for the city centre shops, when the last bus will run at 9pm. The service is also now extended on Sundays until Sunday 24 December, operating from 10.00am to 5.30pm.